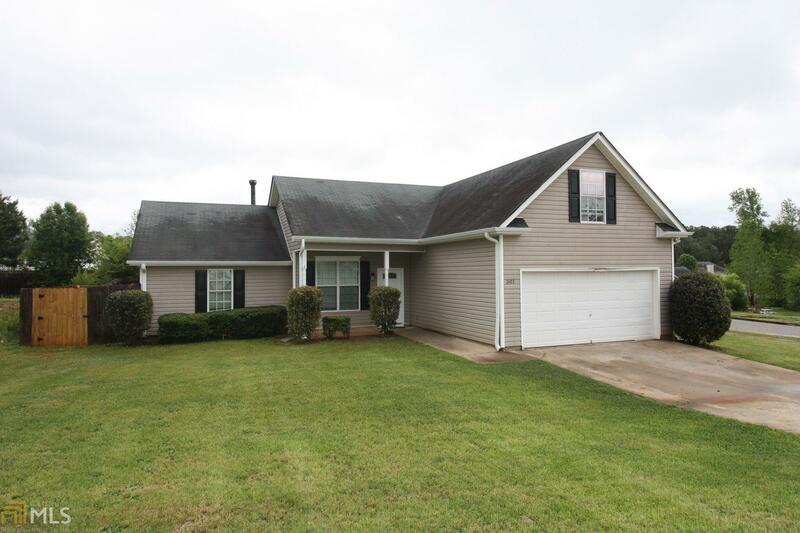 Move-in ready home with fast access to I-85! This spacious home is situated on a corner lot in desirable Baldwin Park subdivision and features 3 bedrooms and 2 bathrooms on the main level, plus a large bonus room upstairs that could be used for a fourth bedroom. Take advantage of all the amenities that this home has to offer including a split bedroom floor plan, hardwood floors in all living areas, upgraded fixtures, kitchen with adjacent eating area and stainless steel appliances, and large fenced-in backyard. Master suite features large closet and spa-like master bath with garden tub and separate showers. Inquire today to learn more about the potential Lease Purchase option and to book your appointment! This one will be GONE before you know it! Directions: From I-85 South, Take Exit 18, Turn Right Onto Lafayette Parkway, Turn Left Onto South Davis Road, Turn Left Onto Upper Big Springs Road, Turn Right Onto Hood Road, Turn Right Onto Lexington Park Drive, Turn Right Onto Preakness Drive, Home Is On Left.